Cast aluminum in-ground adjustable well light. Durable cast aluminum construction. Clear, heat resistant, tempered glass lens. 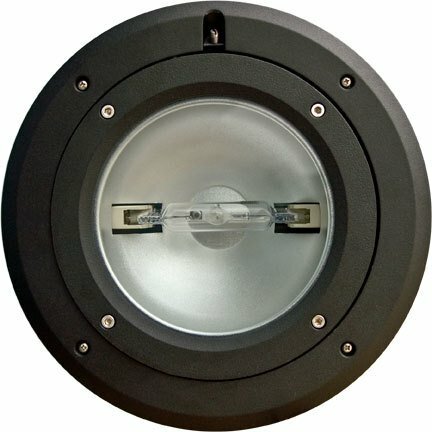 Finish available: Black fixture includes (1) 70 watt MH double ended base lamp. Etl approved for wet location. Specification: overall dimensions: 17.75"H x 10.88"W x 10.88"D. 120 volt. Maximum lamp wattage: 70 watts (fixture includes (1) 70 watt MH double ended base lamp). fixture rated for in-ground concrete and soil applications.